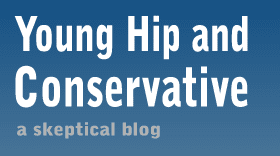 Young, Hip and Conservative: a skeptical blog: Politicization of Martin Luther King Jr. I heard a few of the speakers at yesterday's 50th anniversary of MLK's I Have a Dream speech on NPR while I was driving. It turns out women weren't allowed to speak at the original event, something the NPR reporter brushed off as a quaint, acceptable custom of that time. Former NAACP Chairman Julian Bond told MSNBC Wednesday that event organizers invited “a long list of Republicans to come,” but each declined. A spokesman for Speaker John Boehner acknowledged that Mr. Boehner was invited to speak but instead had marked the anniversary by speaking at a July event commemorating the march in the Rotunda of the Capitol, with other top lawmakers including Senate Majority Leader Sen. Harry Reid (D., Nev.). Both President Bushes were unable to go because of recent health problems. There were plenty of Democratic politicians at the event on the Mall yesterday, including presidents Jimmy Carter, Bill Clinton and Barack Obama. Predictably, they spent as much time as they could sneaking in shout-outs to every left-wing issue they could, including income inequality, the minimum wage, so-called assault weapon bans, calls to raise taxes, environmental policy and stand your ground laws. No one should have been surprised, of course. I was disappointed, but certainly not surprised. I think I've heard of him... Black guy, owned a whole bunch of guns, republican, denied a concealed weapons permit because of a 'may issue' law even with well documented and obvious threats to his life.